Here is our gorgeous Sanda range, it arrives as a 2 & 3 sweater set as well as the option of a corner suite, for the quality of this sofa and the price it is an absolute bargain. 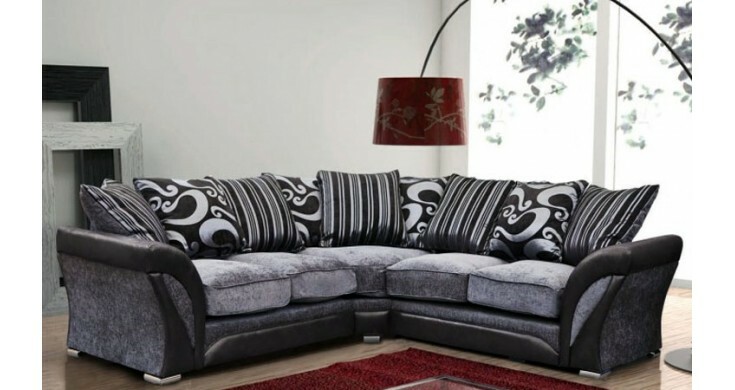 This sofa design in the black and grey will set off any living room or conservatory. It is displayed in a beautiful and elegant way with the colour and design. This sofa is available as a quick dispatch and can be delivered within 15 working days.